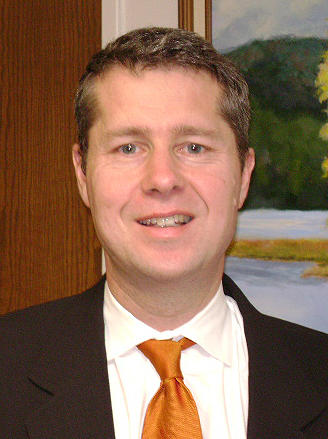 Andy Taylor is professor of Political Science in the School of Public and International Affairs at NC State University. He received his Ph.D. from the University of Connecticut and teaches courses in American politics, including Introduction to American Government, the Presidency and Congress, the Legislative Process, Public Choice and Political Institutions, and the Classical Liberal Tradition. Andy Taylor is Professor of Political Science in the School of Public and International Affairs at NC State University. He received his Ph.D. from the University of Connecticut and teaches courses in American politics, including Introduction to American Government, the Presidency and Congress, the Legislative Process, Public Choice and Political Institutions, and the Classical Liberal Tradition. He also teaches for the Distance Education program at NC State. He won the College of Humanities and Social Sciences’ Poole Outstanding Teacher Award in 1999 and its Outstanding Researcher Award in 2014. Taylor received NC State’s Extension Service Award in both 1999-2000 and 2003-4. He is a native of the United Kingdom. Dr. Taylor’s research focuses on American governmental institutions. He has published in many journals including the American Journal of Political Science, Journal of Politics, Legislative Studies Quarterly, Political Research Quarterly, and American Politics Research and is the author of the books, Elephant’s Edge: The Republicans as a Ruling Party (Praeger, 2005), The Floor in Congressional Life (University of Michigan Press, 2012), Congress: A Performance Appraisal (Westview Press, 2013), and, with Toby L. Parcel, The End of Consensus: Diversity, Neighborhoods, and the Politics of Public School Assignments (UNC Press, 2015). He is a recipient of a U.S. State Department grant and Dirksen Congressional Center research awards and, with Steve Margolis of Economics, runs the Economic, Legal, and Political Foundations of Free Societies program that is supported by a grant from the John William Pope Foundation. Taylor also provides political commentary for a number of local media outlets, such as WUNC and WRAL-5 television, and writes a monthly column for Carolina Journal. In 1999-2000 he was the American Political Science Association’s Steiger Congressional Fellow. He was chair of NC State’s Department of Political Science from 2006 to 2010 and in 2012-13 President of the North Carolina Political Science Association.